The Five-star and Four-star Hotels are about 5-7 minutes by walking, and can be reached via corridor inside of the Convention Center. 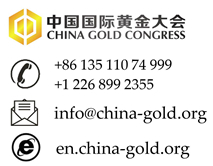 If any problems during the booking, please send email to info@china-gold.org. Four-star hotel, about USD135/night with breakfast. Exchange rate varies. Lick the following banner for booking. There will be confirmation letter sent by email from the Hotel. If you book and didn't hear from the Hotel, please contact Ms. Chen at chenst@cnccchina.com. 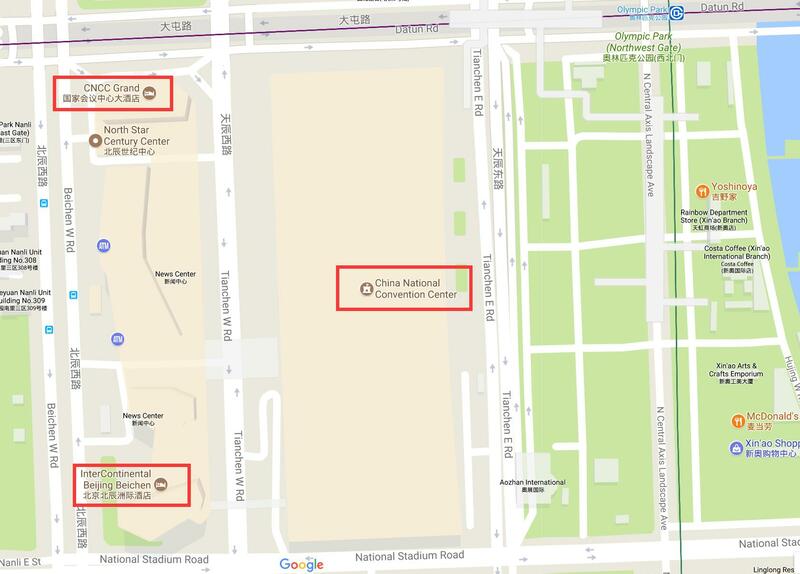 Locations of Hotels and China National Convention Center. Lick for zooming.